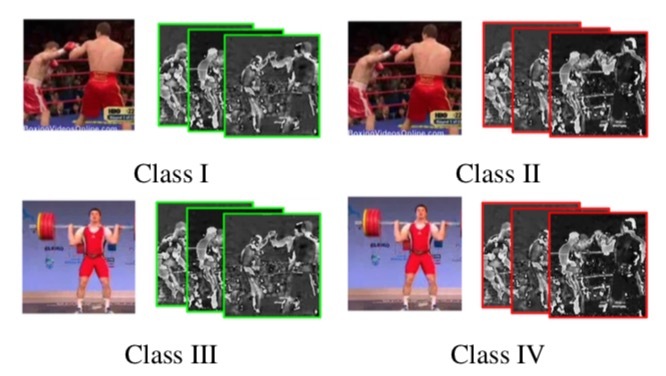 Research Interest: Video Analysis (recognition, retrieval), image segmentation, texture classification, patch matching. [Spring 2018-present] Autonomous Navigation Recognition & Retrieval: Sponsored by Honda Research Institute, I explore self-supervised approaches for ego-motion action recognition. I studied also video embedding, triplet loss retrieval and uncertainty estimation. This work led to a CVPRW2018 publication and pending anonymous submission. [Summer 2017] Semantic Segmentation [MICCAI Poster]: During Intuitive Surgical internship, I applied machine learning techniques to segment key anatomical structures from volumetric CT-images, in a fully automatic and semi-automatic fashion. We propose a convolution neural network developed using Keras, Tensorflow and Python libraries. Based on that work, two MICCAI 2018 papers are published. [Summer 2016] Patch Matching [Adobe Research Intern Expo Poster][Sample Video, Video 2]: During Adobe summer internship, I worked on a new selection/segmentation tool based on patch matching. The intuition is much similar to "Pseudo-polar based estimation of large translations rotations and scalings in images" but instead of comparing images, we compare patches. The selection results are remarkable, yet it suffered large computational time. Thus, it is not ready for industry use yet. While at Adobe, I intensively learned about Coherency Sensitive Hashing, The Generalized PatchMatch Correspondence Algorithm and of course Fourier transform. After the internship, I did additional evaluation against PatchMatchGraph: Building a Graph of Dense Patch Correspondences for Label Transfer. That's why I became expert with Darwin Framework. [Winter 2016] Texture Classification: I worked on a new texture classification approach classifying textures suffering a dark shadow. The results achieved was not good enough for a top conference. Yet, I reviewed the literature in great details. I implemented both local binary pattern (LBP) and various filter banks like Leung-Malik, Schmid, and maximum response. I got familiar with compressed sensing for texture classification. I ran my evaluation experiments using the following texture datasets: CUReT, UIUC and DTD. 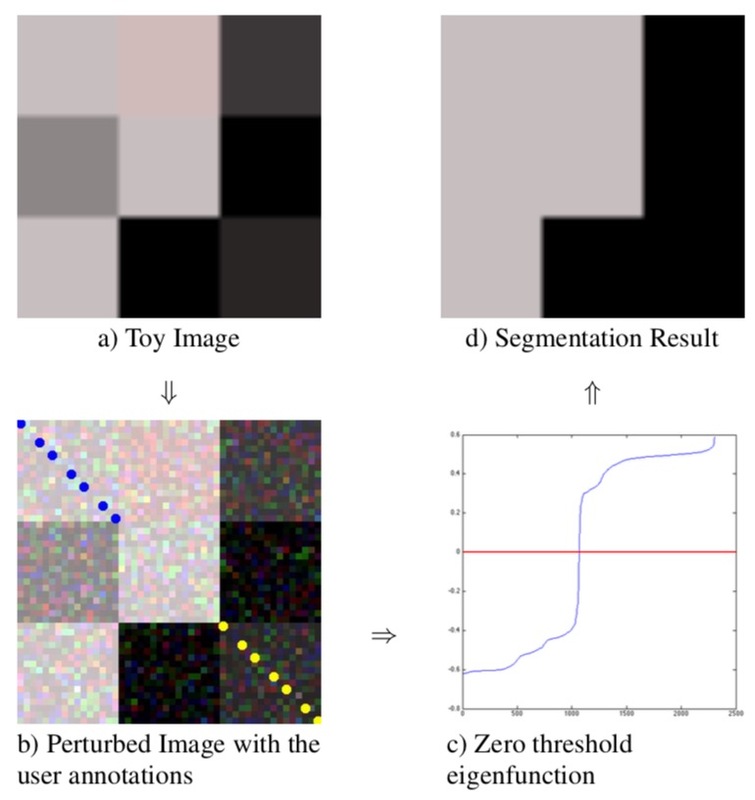 Image Segmentation: Developed an approached for solving interactive image segmentation problem. The approach supports different user annotation forms like scribble, complete and incomplete trimaps, tight contour and bounding box. Qualitative and quantitative results are compared against Grabcut, Geodesic Star Convexity and MILCut. Gifted unrestricted 2500$ from Adobe Systems, Inc. Team has been chosen as one of the Young Innovators Awards(YIA) Program winners for the academic year 2008/2009. Machine representation of data including integers and floating point. Modern computer architectural features and their interaction with software (registers, caches). Interaction between user programs and the OS: system class, process, and thread management. Optimizing software to improve runtime performance using both compilers and hand turning. Introduction to use of computers to solve problems using software engineering principles. Design, build, test, and debug medium -size software systems and learn to use relevant tools. Use object-oriented methods to create effective and efficient problem solutions. Use and implement application programming interfaces (APIs). Description, properties, and storage allocation of data structures including lists and trees. Algorithms for manipulating structures. Applications from areas such as data processing, information retrieval, symbol manipulation, and operating systems. An introduction to basic concepts and techniques in computer vision. This includes low-level operations such as image filtering and edge detection, 3D reconstruction of scenes using stereo and structure from motion, and object detection, recognition and classification. I spent some time after earning my Bsc developing mobile apps for iOS. I co-founded Inova, a software development company. If you want to know more about such period. plz visit my personal site.